Making the Best of $5 Cover Seattle. If MTV’s $5 Cover Seattle had just a few unscripted moments, perhaps our poor musicians would have seemed as charming and lifelike as they are in, well…real life. Better yet, I wish the show was as candid and interesting as the “Seattle Scene: B-Side Docs” segment on Seattle burlesque. Indigo Blue, Lily Verlaine, and Honeysuckle Hype could have been hilarious marauders mingling with the musical elite. That would have made for some worthwhile tv. The burlesque documentary portion of the web-only show is well done, though a little hard to get to. 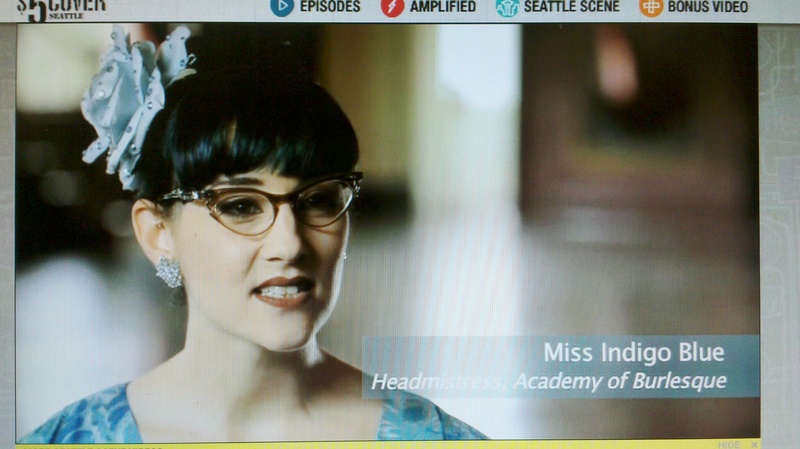 Visit fivedollarcover.mtvmusic.com, then click on “Seattle Scene”, then “Burlesque”. Speaking of Ruby Mimosa, a little bird told me she’s about to open a boutique in Seattle specializing in all things burlesque. Check out a little teaser HERE. ~ by angrytruffle on 12/23/2010.